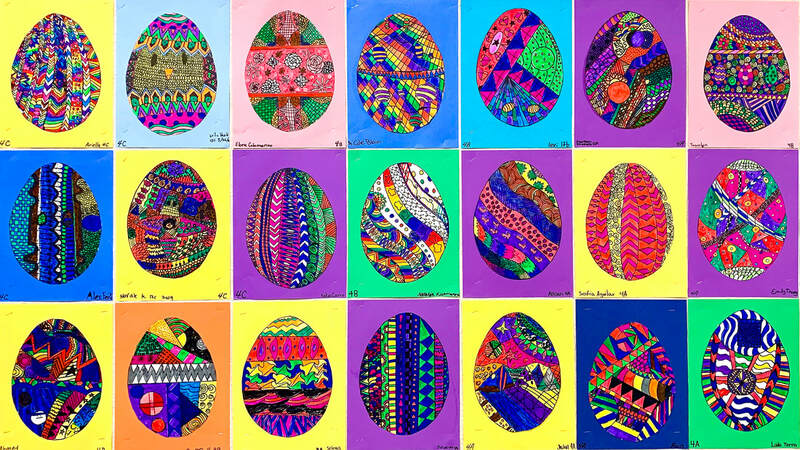 4th grade students doodled these beautiful and unique eggs. 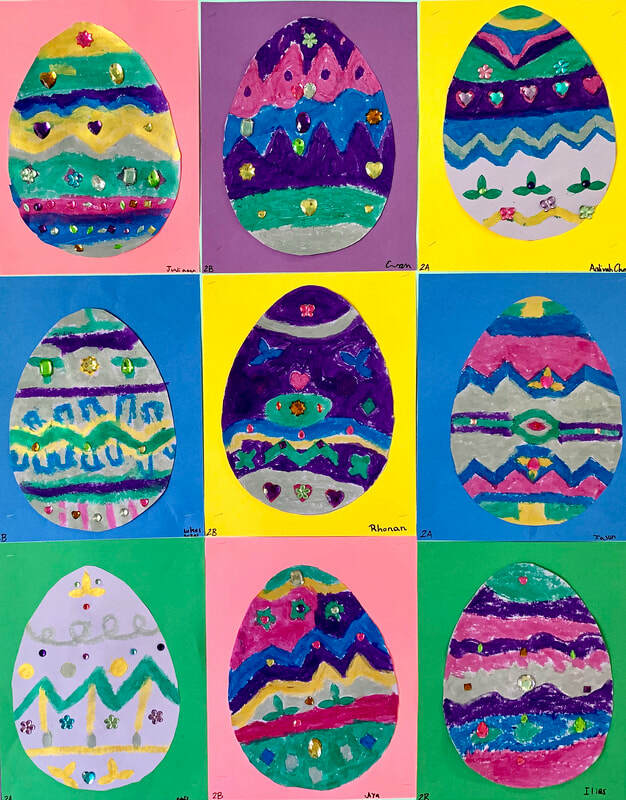 2nd grade learned about ​Fabergé eggs. 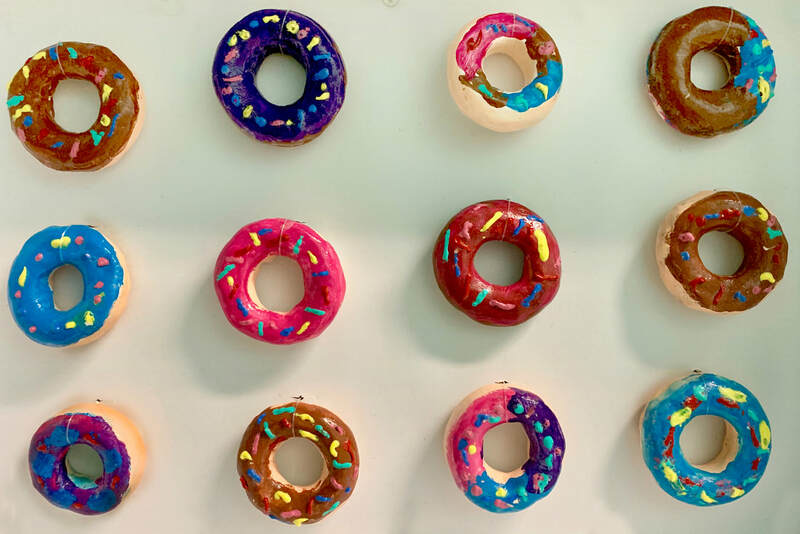 They then painted their own with metallic paint sticks and finally adorned them with rhinestones. 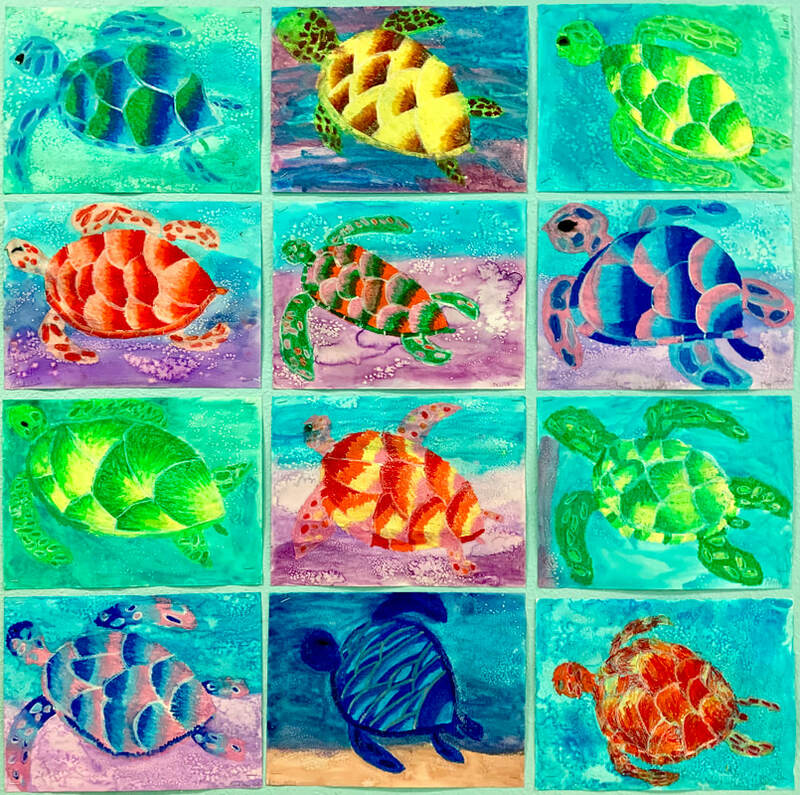 3rd graders practiced the art of zentangle and then outlined with marker followed by a water wash to create these southwest masterpieces! 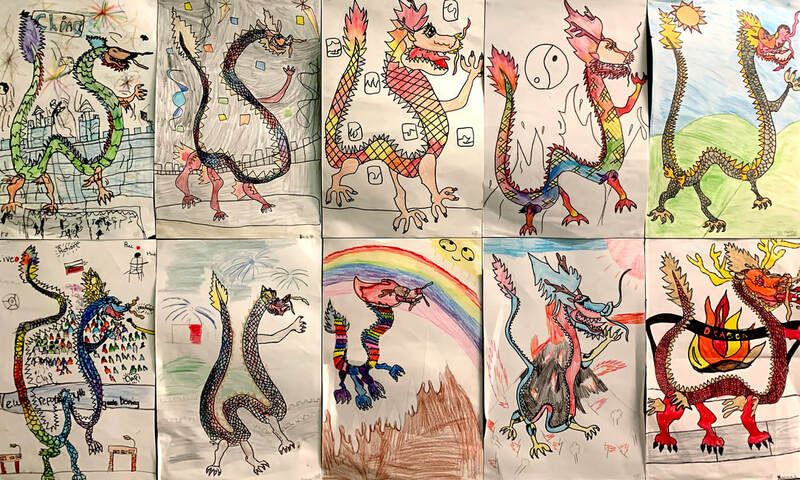 4th grade students were directed in drawing these amazing Chinese dragons. They then created their own setting for their dragons and finished them with colored pencils. 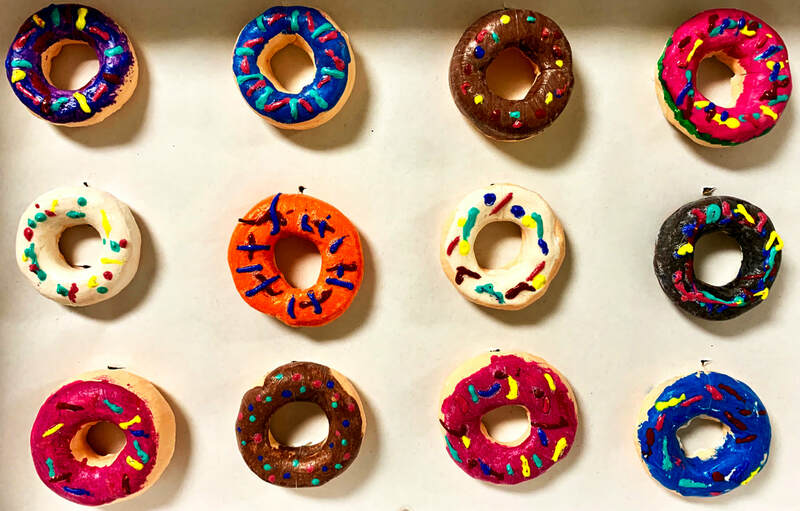 2nd graders created these delicious air dry clay donuts which they painted with tempera paints and then topped with puffy paint for sprinkles. 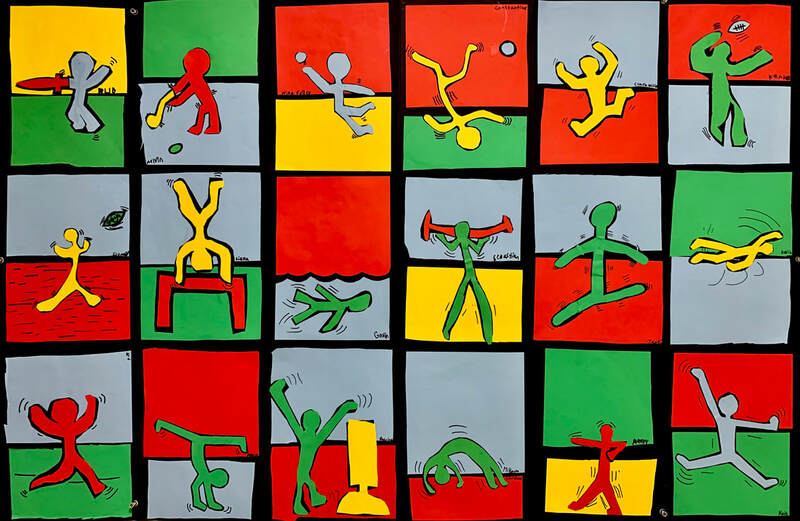 2nd & 3rd grade Olympic pictograms in the style of pop artist, Keith Haring. 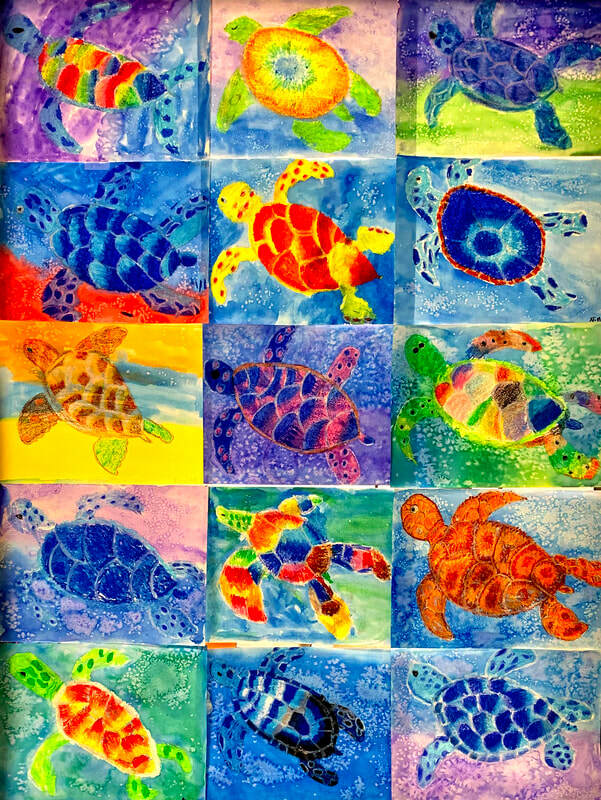 3rd grade students drew sea turtles and then colored them with oil pastels. They then applied a watercolor wash and finally applied a pinch of salt to create their water environments. 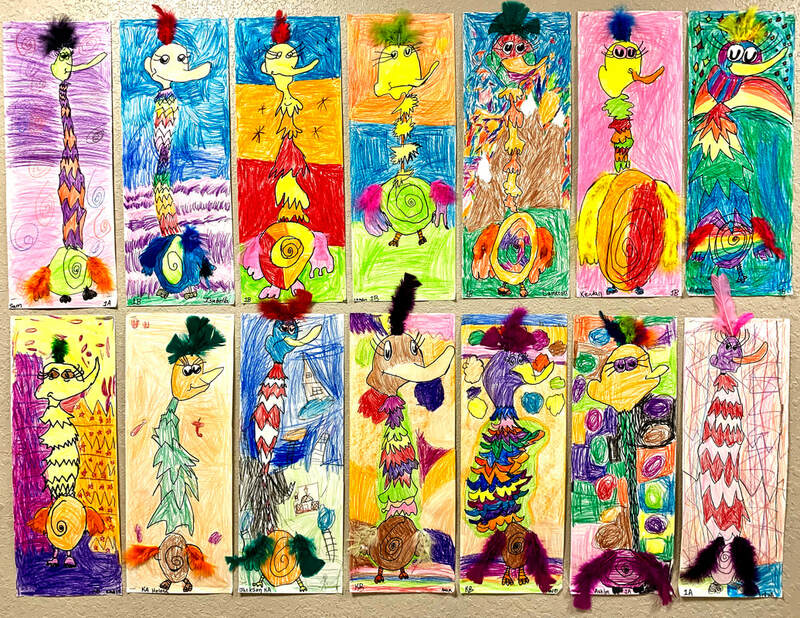 Fun creatures created by kindergarten and 1st graders that were inspired by the book, "If I Ran the Zoo," by Dr. Seuss. 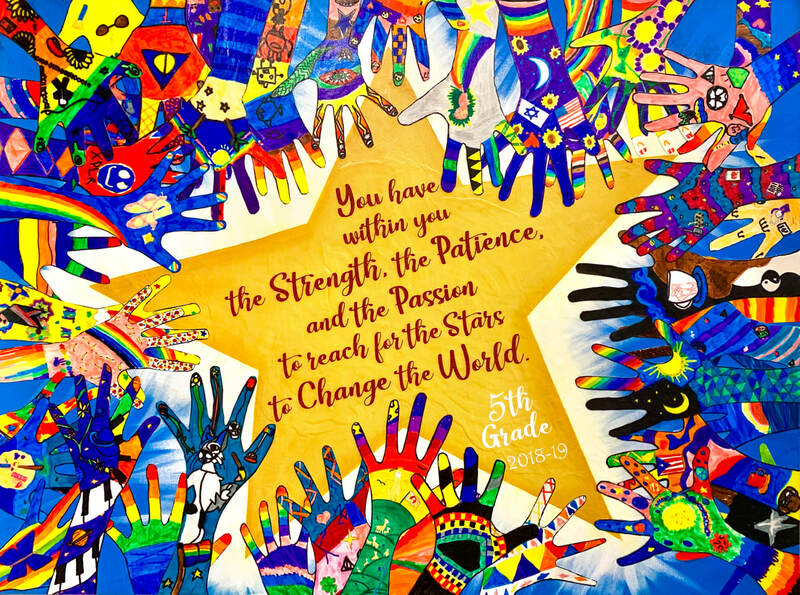 5th graders traced their hands and put a design of their choice in their hand outlines. 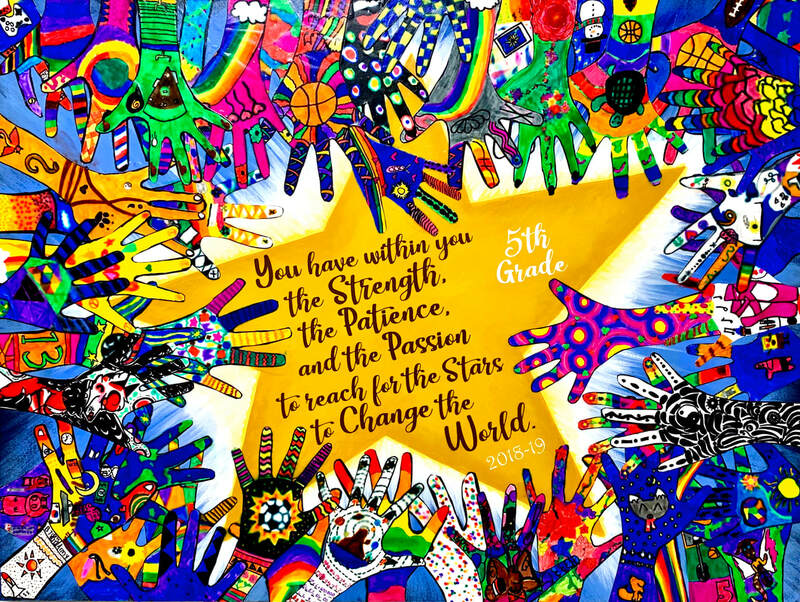 I then mod podged their artwork to canvas for a permanent project. 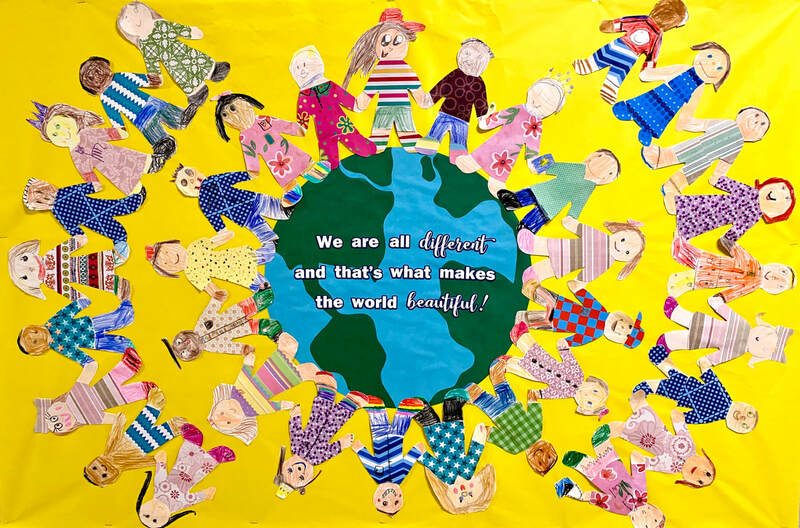 Kindergarten and 1st graders created these cute paper dolls of themselves and clothed them with patterned paper of their choice.